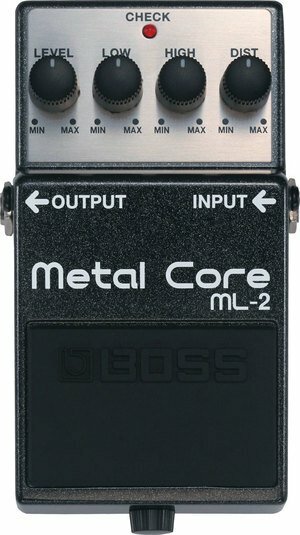 Perhaps Metal Core isn’t the best moniker for this pedal; something more along the lines of “Nuclear Meltdown” would better describe what it does to your sound. Imagine a crazy amount of distortion coming out of a stompbox – now imagine, oh, a whole lot more, and you have some idea of just how insane this unit is. Razor sharp highs and lows, notes punching the air with the ferocity of a heavyweight fighter. Heck, even BOSS describes it as the “most potent and heavy distortion pedal” they’ve ever made. If you’re style of music is the newer, industrial metal, this is the pedal you need at your feet.